CONGRATS to Mat Frentress and Charner Williams owners of Trinity Custom Rods! They finished 3rd place in 2013 AOY and headed to Sam Rayburn on October 19 & 20 for the Championship. win. CONGRATS!!! Click picture below to read the story. CONGRATS to Dustin Black and his partner Jeff Sprague weighing in 34.3lbs over the two days!!! They finished 1st place taking home a brand new Z6 Nitro worth $20,000. CONGRATS to Dustin Black and his partner Lee Livesay!!! They finished 3rd place with 18.47. Chad Bourque caught this beast on April 17, 2013 on Lake Palestine. Caught on our TCR-CB-844. Certified weight ended up at 12lb 13oz. using on squarebill crankbaits. 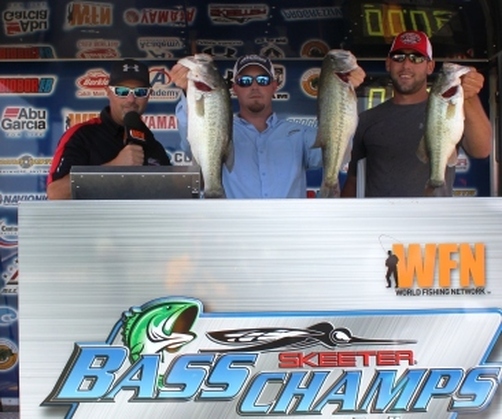 Followed up the next day finishing 4th on Lake Fork. 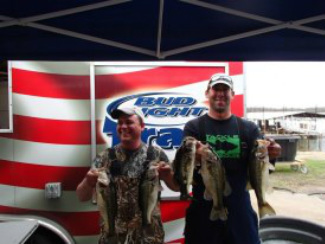 Mat Frentress and Charner Williams finish 3rd in Forney Bass Club tournament on Cedar Creek on March 16, 2013. They boated 17.40lb caught using our SJ843 model. Williams finish 2nd in Forney Bass Club tournament on Martin Creek on Feb 16, 2013. 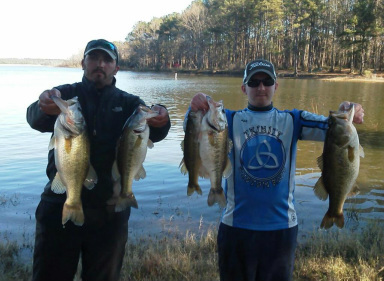 They boated 18.56lb (1st place big bass 5.40 lb) for the second right behind first who weighed 18.58lb. Congrats to Dustin Black and his partner Lee Livesay. 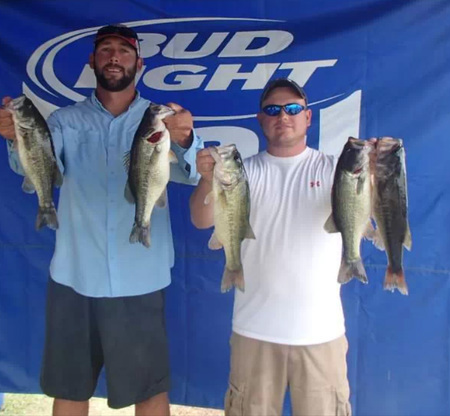 They finished 1st place in the Budlight Trail on Lake Fork weighing in 10.32 lb on Feb 10, 2013.
the Tarleton St. club tournament on Squaw Creek on Feb 16, 2013.